In the field of health care, nurses and the certified nursing assistants have definite roles. Aside from the extra schooling as well as training needed in becoming a nurse, there are several other differences among the two professions and these include the certification requirements, pay rate, and various duties they need to perform. In order to become a nurse’s aide, which is otherwise known as the certified nursing assistant, it is essential to earn a certificate by attending classes that would frequently take approximately six weeks for completion. The nursing assistants work under the direct supervision of registered nurses. They cannot do the responsibilities of a registered nurse. With regards to decision-making, they are not authorized to do on their own. Most of the CNA’s work in nursing homes as well as in assisted living facilities. However, having a certificate will allow one to work in the hospitals, rehabilitation facilities, and clinics. In the medical field, certified nursing assistants have a unique position because they are the primary responder at the bedside of the clients. They are regarded as the ears, eyes, and hands of the registered nurses as they are the primary healthcare professionals in the identification of the needs of the patients especially if the patients’ condition is a life-threatening one. The nursing assistants are able to spend more time with the patients in comparison with the other members of the health care team. Having more interaction with the patients will make the nursing assistant an advocate of the patients’ needs. The registered nurses are required to complete the two or four-year degree program or must become a graduate from a nursing program that is approved by the state. To become certified, the nurse should be able to pass the National Council Licensure Examination for Registered Nurses, which is regulated by the National Council of State Boards of Nursing. When one is already a license holder, the registered nurse can mostly find employment in hospitals or offices of the doctors. Registered nurses hold the responsibility in the implementation of the medical plan of care which is given by the physician. They also implement the nursing care plan that is made by the nursing staff. They do collaboration with the other members of the health care team to ensure the well-being of the patients especially those who are in critical condition and those who needs close monitoring. Registered nurses are highly regarded in the medical and they are being supervised by the Director of Nursing of the facility based on the state’s Nurse Practice Act. Registered nurses are the ones who supervise the CNA’s and LPN’s. They are working more closely and directly with the patients. 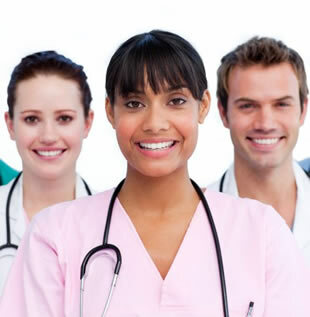 They are able to do and accomplish the responsibilities of the nursing assistants. They can give assignments to the CNA’s and LPN’s. You can read more about how to become a registered nurse on this page.